The Burrows Engineering racing team are set this year for a full season of road racing. The team run by now retired experienced road racer John Burrows will run Stephen Thompson on a Suzuki GSX-R 1000 superbike this season and Nigel Moore on a Kawasaki ER6 in the super-twin class. Stephen Thompson will ride for the team at the North west 200, Isle of Man TT, Ulster grand prix and at selected national road races as well. Whilst Nigel Moore will take in a full season of national road racing alongside competing at the North west 200 and at the Ulster grand prix. Both riders Stephen and Nigel are both top road racers and both will be aiming for top results this year at the international road races and at the national road races. 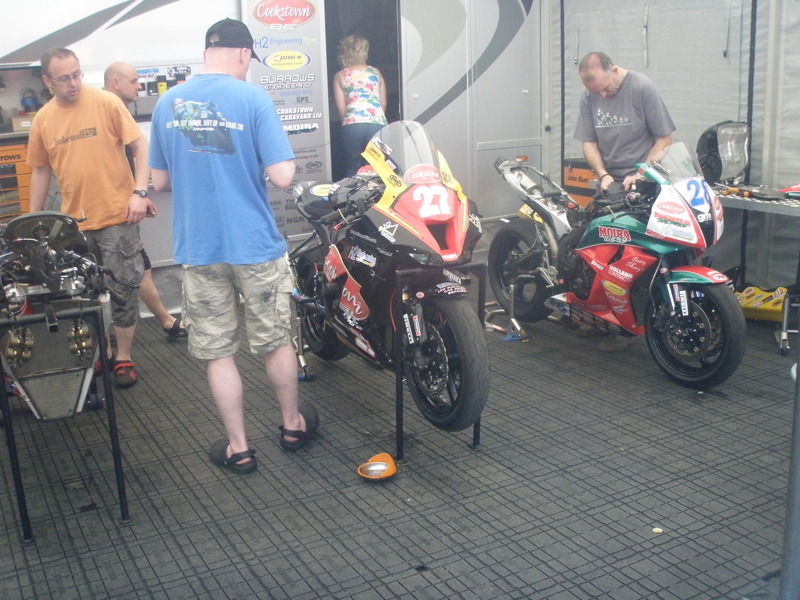 Plus its great to see the Burrows Engineering team back in the road racing paddock and for definite they will be one of road racings top teams during the 2013 road racing season. ← Previous Story Are MV Augusta returning to the Isle of Man TT this year?